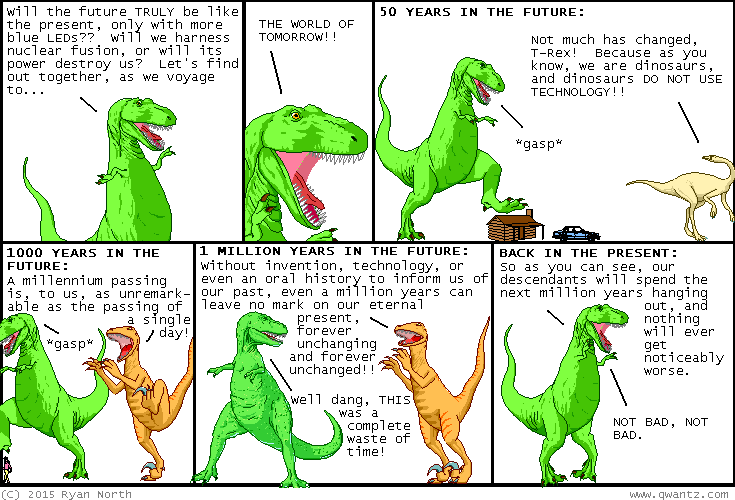 Dinosaur Comics - December 11th, 2015 - awesome fun times! December 11th, 2015: Here is a comic I wrote using my hands AND brain!! Also a computer. One year ago today: trust me when i say that this comic was inspired by my friend cohen working on a paper! i am a good pal. you believe me when i say that, right?